Galway companies Westway Health and Element Software were named as Best Early Stage company and New Start company respectively at InterTradeIreland’s 11th annual all-island Seedcorn Investor Readiness Competition. The winners were announced at the grand final of the competition at Clontarf Castle in Dublin last night. Westway Health as Best Early Stage company will take away a cash prize of €100,000 and Element Software wins €50,000 as the Best New Start company. Two Northern Ireland companies were also recognised at the Awards. Belfast-based Blow Moulding Technologies and See.Sense from Newtownards each won €20,000 as the Northern Ireland regional winners in the Best New Start and Best Early-stage categories respectively.Their recognition at the Awards brings the total prize money secured by Northern Ireland companies in the Competition to date to €645,000. Seedcorn is the island’s largest business competition for new start and early stage companies in any sector, from any part of the island. The competition, aimed at companies who have a new equity funding requirement, has an overall total cash prize fund of €280,000. To date, InterTradeIreland has supported over 1,950 enterprising companies through the Seedcorn process with previous finalists going on to secure more than €174 million worth of equity. Bizimply from Dublin was also awarded for the best venture stemming from a University spinout / support programme, walking away with a cash prize fund of €10,000 on the night. Speaking at the final, Thomas Hunter McGowan, CEO, InterTradeIreland said:“To be truly investor ready, it’s not all about the pitch and having a perfect presentation; the proposition, the substance behind it and the team are all key for potential investors. Seedcorn provides young companies, who are at a critical stage of their development, the opportunity to really put their proposition to the test. This year we opened our master classes to all the 24 companies that were taking part in the regional finals, which was a valuable opportunity for them. Not only does this give companies an opportunity to test their proposition robustly but it also starts them off on the journey to learn from the experience of those that have already ‘been there, done that’. 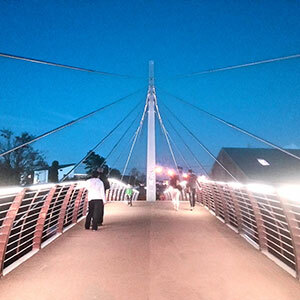 “Both Westway Health and Element Software have overcome extremely tough competition throughout the Seedcorn process and their success highlights that they are the bright stars for the future. The team at InterTradeIreland and I sincerely congratulate them both and we look forward to working with them and watching them grow.” Westway Health has developed a technology designed to tackle major problems in human and animal medicine and to fight antibiotic-resistant bacteria, like MRSA. Westway Health has specifically focused on the treatment and prevention of bovine mastitis (infection of the udder) which is a major health and economic issue, costing the dairy industry in the EU and US over €3 billion a year. Conventional antibiotics are currently used to treat mastitis. However, this solution has poor treatment outcomes, leading to culling of cows and lost milk revenues, as milk from cows treated with antibiotics must be withdrawn from sale for a period of time during and after treatment. Westway Health’s product, PanaMast, is the first non-antibiotic solution meaning farmers can continue to sell milk during and following treatment. As up to 80% of dairy cows exhibit some signs of infections at some stage each year, this will have a major impact on the bottom line of farmers and milk producers. Prof. Vincent O’Flaherty, Chairman, Westway Health and Head of NUI Galway's School of Natural Sciences said; “The Seedcorn competition process was a great learning curve and we received invaluable feedback from investors, entrepreneurs and advisors regarding our pitch and business plan. The potential market for PanaMast is €1.5 billion per annum from the major markets in Europe, the US, Canada, Australia and New Zealand. We are absolutely thrilled to have received this recognition from the Seedcorn judges, especially when we were up against such tough competition. The prize money will help us to fund formal clinical trials next year and to advance towards our target of PanaMast hitting the shelves by 2017.” Founded in 2011 by Dorothy Creaven (CEO) and James Harkin (CTO), Element Software developed Element Wave, a real-time analytics and mobile messaging platform for app publishers who want to address the issues of customer retention and user conversion. One of the biggest issues with the mobile app market is low user retention with more than 70% of mobile app users drop off within the first three months. Real-time analytics and mobile messaging platform, Element Wave, tackles this problem for app publishers by keeping people interested in using their apps. Dorothy Creaven, CEO, Element Software said: “We are absolutely delighted to be InterTradeIreland's Seedcorn winner in the New Start category for 2013. With the high standard of competition, it has been great validation for our new product, Element Wave, and an important milestone for our mobile technology company. Element Wave is the next generation in mobile marketing for B2C companies as it helping to solve the major problem of low user retention in the mobile app industry. The Seedcorn competition has meant a lot to us in terms of attracting marketing and investment opportunities, and the prize money will mainly be used to assist us in closing sales with our growing customer base outside of Ireland. Seedcorn is much more than a standard competition; the feedback on our business plan that we have received along the way has really helped to push our business ahead and we look forward to announcing more exciting news in 2014.” The Seedcorn competition imitates the real-life investment process and gives companies a valuable opportunity to put their business idea to the test and ensure that it is investor- ready and stands up to external scrutiny. Business plans received were initially assessed and short listed companies were subjected to a rigorous investment pitch process by a panel of judges made up of entrepreneurs, investors and business experts in competing for the Best New Start and Best Early Stage Company titles on a regional basis in Connacht & Leinster, Munster, Dublin and Northern Ireland. The regional winners in each category secured an initial €20,000 share of the prize fund for their company. Finalist companies also benefit from being part of the InterTradeIreland Seedcorn Network – an extensive business and investment community that helps boost their profile, contacts and future potential investment opportunities. Further details are available on http://www.intertradeireland.com/seedcorn/. Follow the Seedcorn Competition on Twitter (@ITI_seedcorn #Seedcorn) or on LinkedIn (Seedcorn Network). 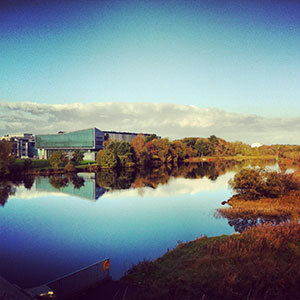 How Does Research at NUI Galway Affect You, Your Family, Your Community? 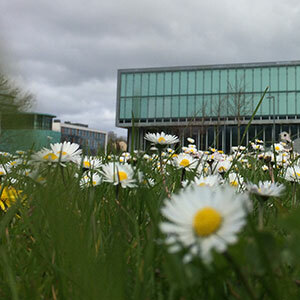 NUI Galway Invites 4th, 5th & 6th Classes to Apply for its Youth Academy! NUI Galway President Dr Jim Browne welcomes ‘further recognition of NUI Galway’s commitment to biomedical excellence.’ The Stanford Biodesign programme has selected BioInnovate Ireland, led by NUI Galway, as their first Global Affiliate Programme, an affiliation that represents the Stanford programme’s recognition of BioInnovate Ireland's continued growth and development. This affiliation will serve to further the collaborations between both programmes, lead to the development of further training materials and exercises, and allow interactions between Fellows on both programmes. Dr Paul Yock, Director of Stanford Biodesign said ‘We are pleased and excited to see the growth of BioInnovate Ireland into a world-class training program in biomedical technology innovation. Going forward, we are happy to be able to partner with BioInnovate as our first “Global Affiliate” program. 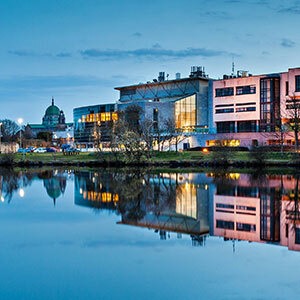 We look forward to this opportunity to share best practices in education and training, create new teaching materials and provide mutually beneficial experiences for our fellows and students.’ President of NUI Galway Dr Jim Browne said ‘this affiliation is further recognition of NUI Galway’s commitment to biomedical excellence. The BioInnovate programme enables collaboration across diverse fields to meet the needs of patients, clinicians and industry and puts innovation at the forefront of what we do.” Dr Mark Bruzzi, Director of BioInnovate Ireland said ‘We are delighted to partner with Stanford Biodesign through their affiliates programme, and very much look forward to working with them and maximising our efforts to the benefit of both programs.’ The BioInnovate Ireland Fellowship is a medical device innovation training programme modelled on the prestigious Stanford Biodesign programme. With industry, academic and government support, and access to leading academic researchers, clinicians and industry experts worldwide, the programme facilitates and trains multidisciplinary teams of experienced professionals in the process of matching unmet clinical needs to attractive market opportunities. 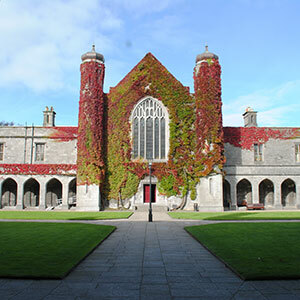 The programme is led by NUI Galway and offered in collaboration with University of Limerick, University College Cork and Dublin City University. Programme support comes from Enterprise Ireland, Irish Medical Devices Association (IMDA), Boston Scientific, Medtronic, Creganna Tactx Medical, Steripack, Aerogen and Zeus. The site, a collaboration between NUI Galway, the HSE and the Health Protection Surveillance Centre, will provide real time data about the spread of the flu Flusurvey.ie is a new website that will map the spread of the seasonal flu and allow health authorities and members of the public fight against the seasonal flu. Flusurvey.ie is part of Influenzanet, already used in other European countries, which is an innovative development using on-line volunteers to support existing influenza monitoring systems. It is a research collaboration between NUI Galway, the HSE/Health Protection Surveillance Centre, and international partners from the EU-wide Influenzanet project. The system will indicate to those that register, how many other cases are recorded in their area. It will provide valuable real-time public health information on the demographics and geographic location of influenza sufferers. Using internet technology it provides public health agencies across Europe with novel opportunities for gathering data from members of the public on infectious diseases such as influenza. Volunteers register online and self-report by answering short questions relating to demographic, medical, socio-economic and lifestyle issues. The information received is anonymous and only general non-specific information is made available. Participants can view interactive maps with influenza data broken down at their local and national levels, and the system can map the spread of the disease in its early stages, and provide health professionals with an early warning signal of nationwide outbreaks. Project Leader Dr. Jim Duggan, Senior Lecturer at the College of Engineering and Informatics, and Researcher at the Ryan Institute, says that “Modern technology can transform the way people interact with their physicians, and the wider public health system. This new project will demonstrate the potential for national self-reporting systems, and the approach can be extended for surveillance of other diseases, especially those which are not being monitored regularly through traditional public health surveillance.” Dr. Darina O’Flanagan of the HSE/HPSC welcomed the initiative and said that Flusurvey.ie / Influenzanet will be a useful addition to flu surveillance in Ireland and that the information gathered will be aggregated to complement existing methods of influenza surveillance, and to support modelling and analysis activities. Seasonal influenza is a highly contagious viral disease that is characterised by a sudden onset of fever, accompanied by muscle pain or headache, and a cough or sore throat. In Ireland, the influenza season typically starts in October, and continues through to late May. In additional to the debilitating nature of influenza for individuals, international studies have consistently highlighted the adverse economic impact of the virus due to absenteeism, and also how it can adversely impact on an individual’s productivity in the workplace. Influenzanet is accessible at http://flusurvey.ie, and will be available to the general public from Monday November 4th, 2013. 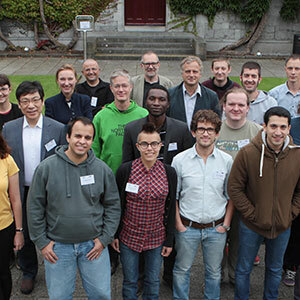 Harnessing diatoms, a type of microscopic algae, as a platform for drug delivery has been the focus of one of many research projects funded by Science Foundation Ireland at the Network of Excellence for Functional Biomaterials (NFB) at NUI Galway. Research describing methods to alter the chemical composition and architectural features of diatoms has recently been published in the November issueof Nature Communications. With an impact factor of 10.015, Nature Communications is rated third among all multidisciplinary science primary research journals for 2012. The production of nanomaterials is a fast developing field of nanotechnology. The synthesis of nanomaterials varying in chemical composition and size is challenging. Biological structures inspire for the design and fabrication of advanced nanostructured materials. A variety of organisms is capable of synthesising complicated architectures, among which are diatoms. Diatoms are microalgae found in both freshwater and seawater environments. To date over 100,000 species have been identified. Diatoms have enormous ecological importance and contain nano-scale diverse patterns and structures. Current engineering practices cannot manufacture the highly elaborate architecture of diatoms. Diatoms and their unique architecture are currently being investigated as new, effective vehicles for drug and gene delivery. In this application, the diatom would carry an appropriate amount of drug or gene to the desired site (e.g., tumours or diseased tissues), while minimising undesired side effects of the drugs on other tissues. Diatoms are also being explored as biosensors because of their large surface area and optical properties. The silica structures of diatoms are readily integrated with traditional processing methods in the semiconductor industry. Yvonne Lang, a PhD student at the NFB, collected diatoms from Galway Bay and cultured them in the laboratory. Her work was supervised by NUI Galway’s Professor Abhay Pandit and co-supervised by Dr David Finn. Yvonne’s research involved altering the chemistry of the living diatom and tailoring it for its intended application. The results presented in Nature Communications describe this innovative strategy, and how various microscopy techniques enabled both chemical and architectural modifications to be monitored in microscopic algae. An extension of this work will allow this natural resource to be harnessed for the preparation of biocompatible structures for the delivery of therapeutics. Event celebrates 10 years of Chartered Institute of Personnel Development (CIPD) accreditation of NUI Galway’s Masters of Industrial Relations and Human Resource Management Dr John McGurk, Head of CIPD, addressed HR professionals, Western Region CIPD branch members, NUI Galway students, staff and alumni and spoke about the importance of human resource management in supporting organizational innovation. 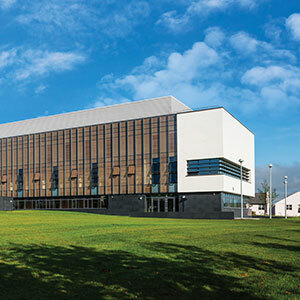 The event, sponsored by Medtronic, was jointly organised by the Discipline of Management and the Western Region CIPD branch and was held the Aula Maxima in NUI Galway. Dr McGurk, explaining the people aspect of innovation, said “innovation is essentially about people connecting using their skills and sharing and combining knowledge. HR can play a critical role in supporting that effort.“ Martin Conroy, Senior Director of Continuous Improvement for Medtronic, also addressing the conference, agreed that product and process advances are not simply technological outcomes and require unlocking the potential of organisation’s employees. Mr. Conroy, who trained as an engineer, explained that value was added by HR policies that supported employee empowerment. Tom Ryan, Associate HR Director at Alkermes and Annette Murphy, Assistant Principal, Department of Social Protection, course alumni, described the role of HR in supporting innovation in private and public sector organisations. The event was chaired by alumnus Geraldine Grady, Chairperson of the Western Region branch of CIPD. Maureen Maloney, Programme Director for the Masters in Industrial Relations and Human Resource Management at NUI Galway said, “It was fantastic to assemble such a group of high quality participants to speak about an important and timely topic. Of course, we were delighted to reunite with our alumni and friends from the HR community.” This seminar was organised to celebrate 10 years of CIPD accreditation of the Master in Industrial Relations and Human Resource Management at NUI Galway. Over 200 alumni of the programme are working as professional HR managers in Ireland, the UK, Germany, Saudi Arabia, Pakistan, China, Australia, the United States and other countries.